Often referred to as Contractors All Risks or construction works, a Contract works insurance policy is a must for any builder whether they are commercial, residential or both. Material Damage – Insurance for the house/building/project whilst under construction. This section of the policy can also include Tools, existing structure, scaffolding, temporary sheds, materials on site etc. Legal Liability – The Public Liability section of this policy covers personal injury or property damage to third parties at the building site during the period of insurance. Under this policy cover is also available for vibration and weakening of supports to neighbouring buildings once policy requirements for such cover are met. The Home Building Act 1989 requires builders and tradespeople to be licensed for the work that they do, and to have proper contracts and insurance in place for most jobs. A builder must take out job-specific insurance under the Home Building Compensation Fund (previously Home Warranty Insurance) for home building work valued at over $20,000. 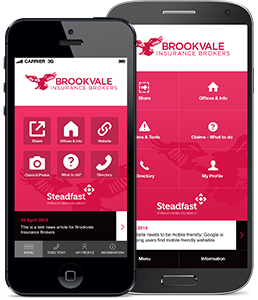 Brookvale Insurance Brokers is one of a select few brokers in NSW that has the authorisation from Home Building Compensation Fund and a dedicated service team to assist builders in obtaining and maintaining eligibility, along with the issuing certificates on a job by job basis. icare (Insurance & Care NSW) is a Public Financial Corporation that delivers insurance and care services to the people of New South Wales.